The present volume contains a selection of papers presented at the conference Mapping Parameters of Meaning, an event organized by the GReG (Groupe de Réflexion sur les Grammaires) linguistics research group in the Language Department of the University of Paris Nanterre on November 19-20, 2010. 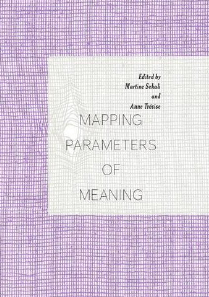 The book addresses the description of meaning construction processes, and the necessity for new linguistic interface-tools to analyze it in its dynamic and multi-dimensional aspect. Syntax, grammar, prosody, discourse organization, subjective and situational filters are not considered as autonomous systems; on the contrary, they are shown to systematically converge in the process of meaning construction and interpretation. The notion of context is discussed throughout the volume, a major concern being to try and define the precise nature of the link between variable contextual parameters and stable linguistic systems. The book will be of value to anyone interested in the interaction between syntax, semantics and pragmatics in the gradual construction and interpretation of meaning in natural languages, including researchers, students and scholars of formal linguistics, cognitive linguistics and discourse analysis. Martine Sekali is a Lecturer of Linguistics in the Department of English Language and Literature at the University of Paris Nanterre, France. She is currently the Director of the GReG linguistics research group, at the CREA (Centre de Recherches Anglophone). Her main areas of research interest include syntax/semantics/ pragmatics interface analyses of complex sentences. Anne Trévise is a Professor of Linguistics in the Department of English Language and Literature at the University of Paris Nanterre, France. She is a member of the UMR 7114 MoDyCo (Modèles, Dynamique, Corpus) and of the GReG. Her areas of research are English grammar (mainly aspects and tenses, and various phenomena at the interface of syntax and semantics) and Second Language Learning.